Hair transplant is done in patients who are totally bald or have partial baldness after excessive hair fall (especially in women). Hair fall is the most common problem one faces whether men or women. When the hair fall leads to baldness then problem arises because baldness is permanent if not treated. This problem is seen more in men due to male hormones which is called testosterones. Other reasons being use of gels on hair, chemical treatments for hair straightening, hereditary, bad food habits etc. But baldness makes men look older and affects their self esteem. 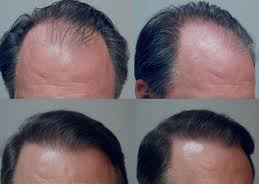 This problem of baldness can be treated with procedure called hair transplant. Hair transplant is a permanent cosmetic surgery procedure that helps in restoration of normal look. Hair transplant can be done both by strip method as well as FUE technique.